Gnocchi can be kind of fastidious to make, which is why it's lucky so many wonderful brands exist that allow you to have these pillows of potato pasta at home in mere minutes. 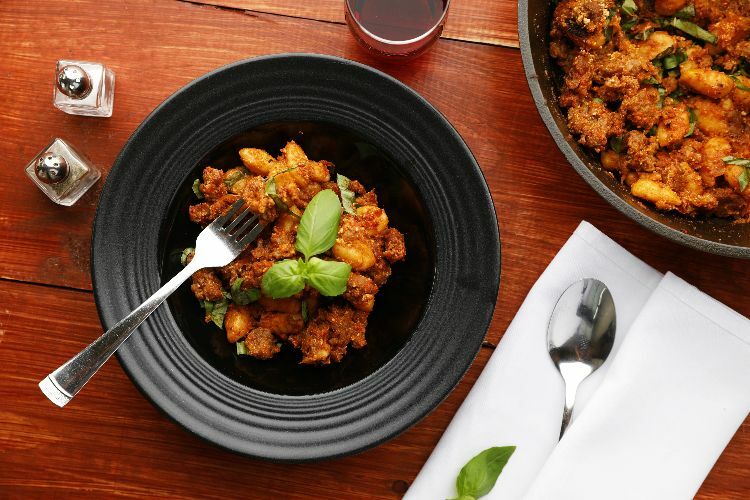 In the recipe below, toss your favorite brand of gnocchi with a rich sausage ragu. A hearty dinner will be on the table in no time. For this dish, you can choose between sweet and spicy Italian sausage. Both tend to be seasoned with fennel seed, which adds another dimension to the sauce. A spoonful of ricotta cheese adds just the right amount of creaminess and, of course, serve with extra Parmesan cheese at the table. Meanwhile, remove the sausage from its casing. Heat a skillet over medium-high heat, and add the sausage. Break it up with a wooden spoon. Cook, stirring occasionally, until the sausage is nicely browned on all sides. 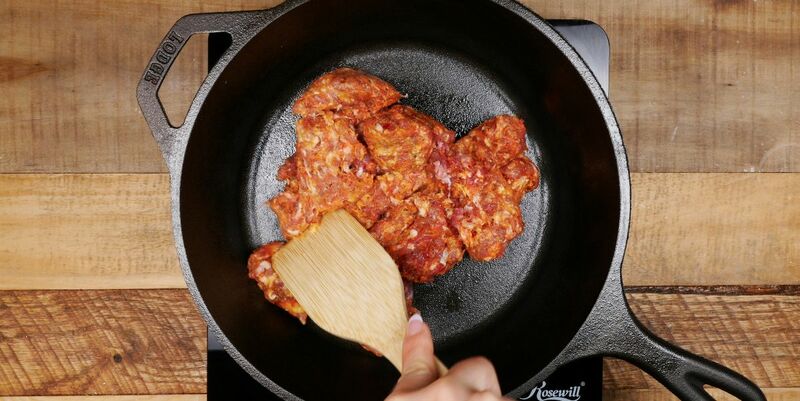 Set the sausage aside and pour out all but one tablespoon of fat from the skillet. Add the onion and cook, stirring occasionally, for about 5 minutes, or until tender. Add the garlic cloves and the tomato paste and fry together for two minutes. Add about 1/8 to 1/4 cup of the pasta cooking water from the gnocchi to thin out the sauce slightly. Stir to combine. Put the cooked gnocchi in the sauce. Toss to coat. Add the sausage and stir to combine. Add the ricotta cheese, Parmesan cheese and basil and serve.